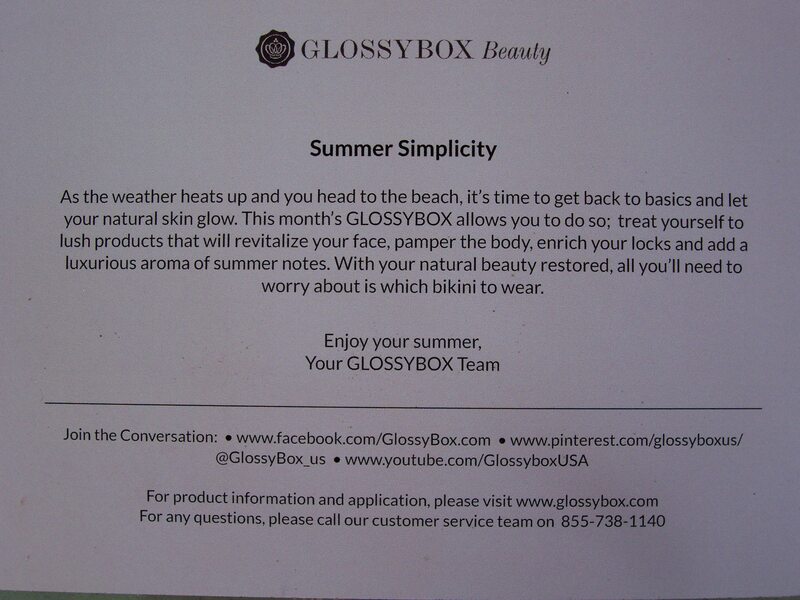 While Glossybox isn’t a new monthly subscription service it IS new in the United States. Their first U.S. box was in May so the June box was only their second monthly box. I had been hearing very good things about the service in other countries and so wanted to include them in my series of articles on beauty subscription services. The June Glossybox contained 7 items including 2 full size products. I was pretty pleased with the selection of items included especially because there was a lot of variety. Glossybox included a makeup item, bath & body item, a body creme, a facial item, a hair item, and a perfume. So without further ado, here is what my box contained. The presentation of the box is very lovely. 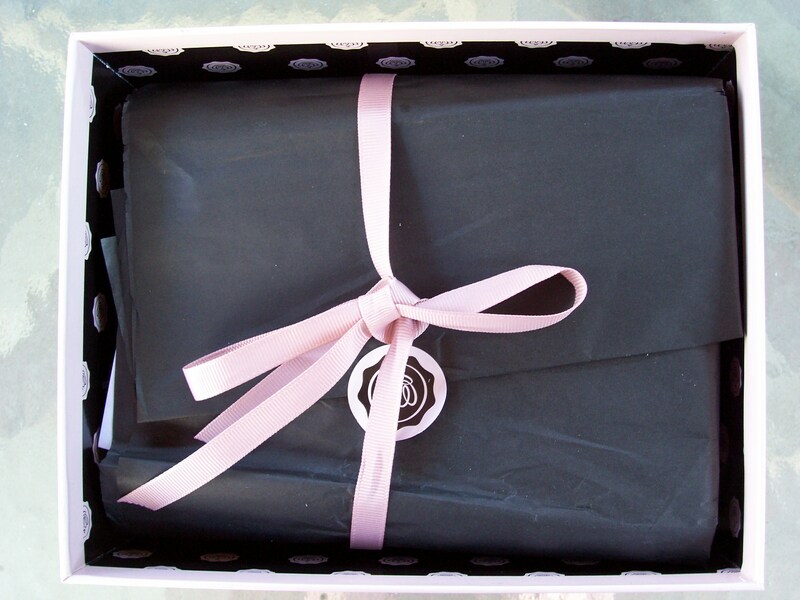 The items are all packaged carefully inside a pale pink box with polka dots on the inside. The box is the largest and sturdiest of any of the subscription services and will most definitely be useful for storage of various items later on. Inside there was a postcard with the details of the items on one side and a descriptions of the box along with contact info on the other. Also included was a mini magazine called Glossy Mag for the month of July. Since their boxes deliberately ship late (compared to other services that ship at the beginning of the month) it was already July by the time I received my June Glossybox. 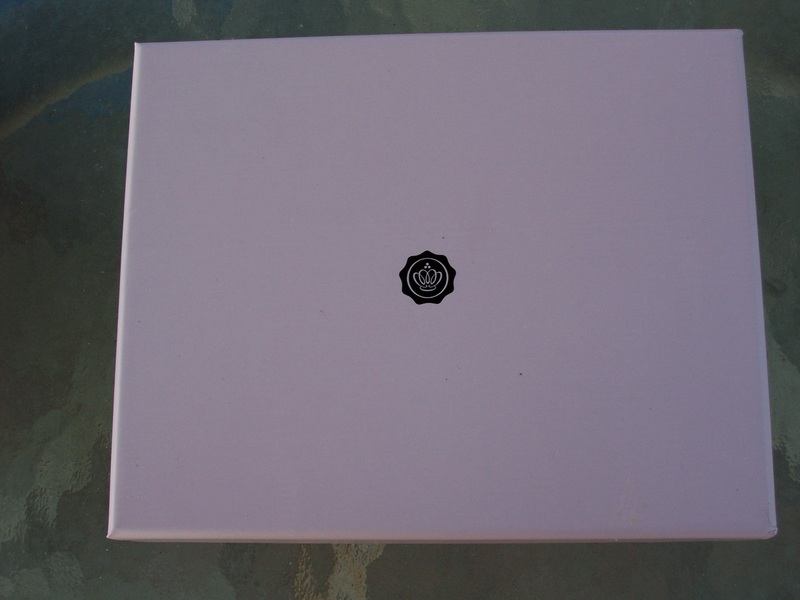 The mini mag is cute and is something different that sets Glossybox apart from the others. 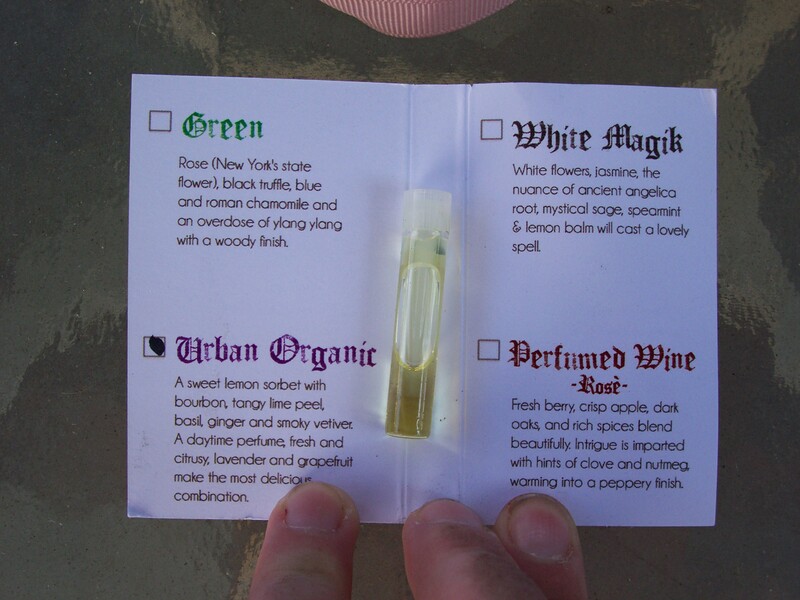 The first item I pulled out was the Perfume Organic in Urban Organic scent. 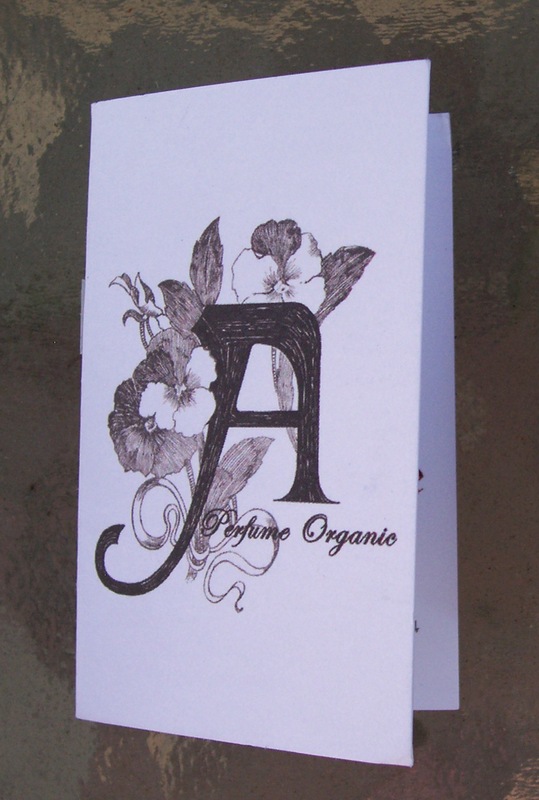 I am very sensitive to perfume and nearly always prefer body mist or spray to actual perfume. My little sister on the other hand loves perfume and wears it quite often. I personally didn’t care for the scent, but I rarely like any actual perfume scents. This was the only item that I couldn’t figure out the sample size price because I couldn’t figure out how many milliliters were in the small vial. The full size bottle contains 0.41 ounces and costs $65. 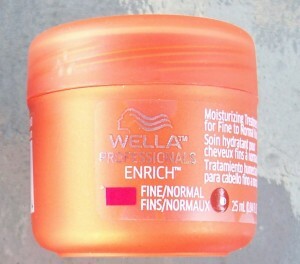 The next item is the Wella Professionals Enrich Moisturizing Treatment for hair. Since I received this after my surgery I haven’t been able to use it as I can’t get in a regular shower until my leg is healed and strong enough. But I look forward to using it on my much shorter hair since I had it cut substantially before my surgery. The longest part of my hair reached my tushie and now it is just below shoulder length. 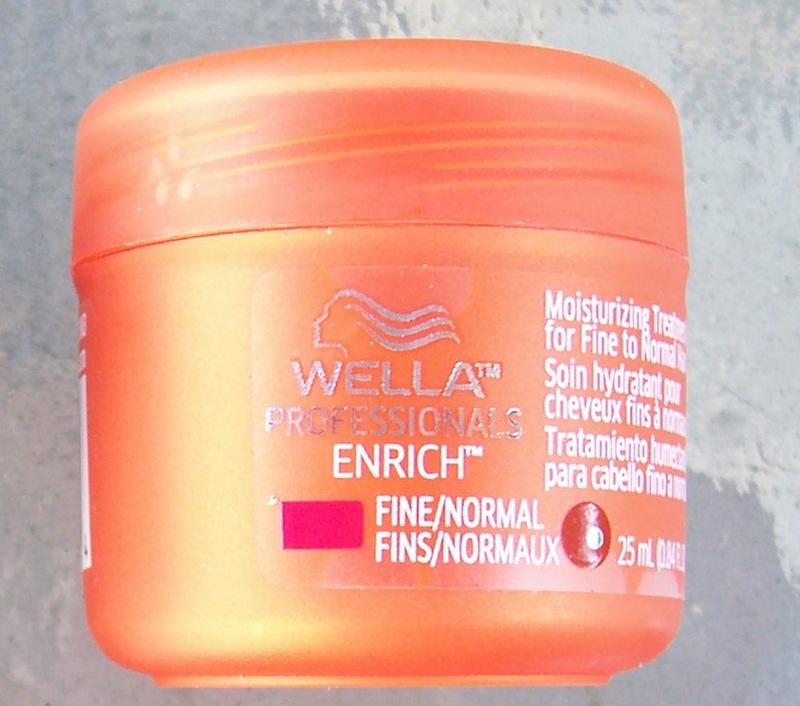 The full size hair treatment contains 5.07 ounces and costs $12 making the value of this sample equal approximately $2.01. 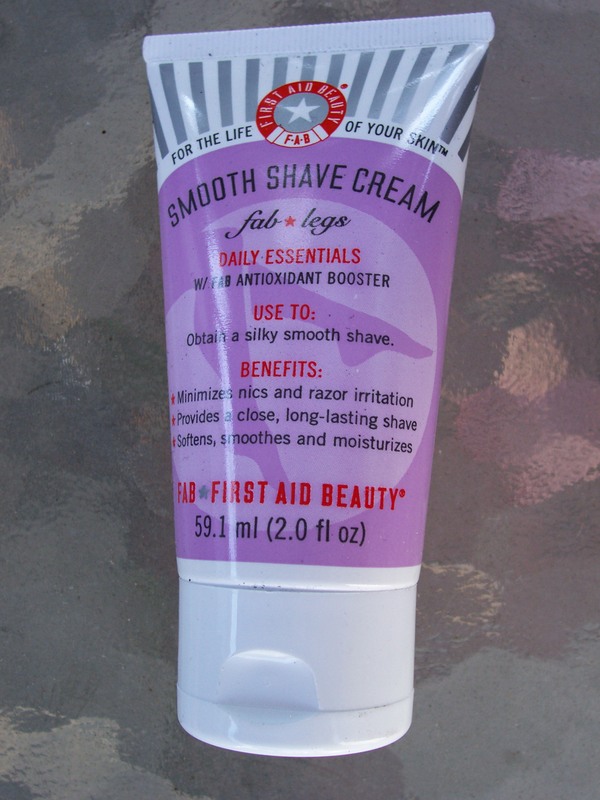 The first full sized item was the First Aid Beauty Smooth Shave Cream which the description says is a “gentle, non-irritating formula”. I cannot wait until I am allowed to shave the leg I had surgery on and will most definitely be saving this to be able to use then. 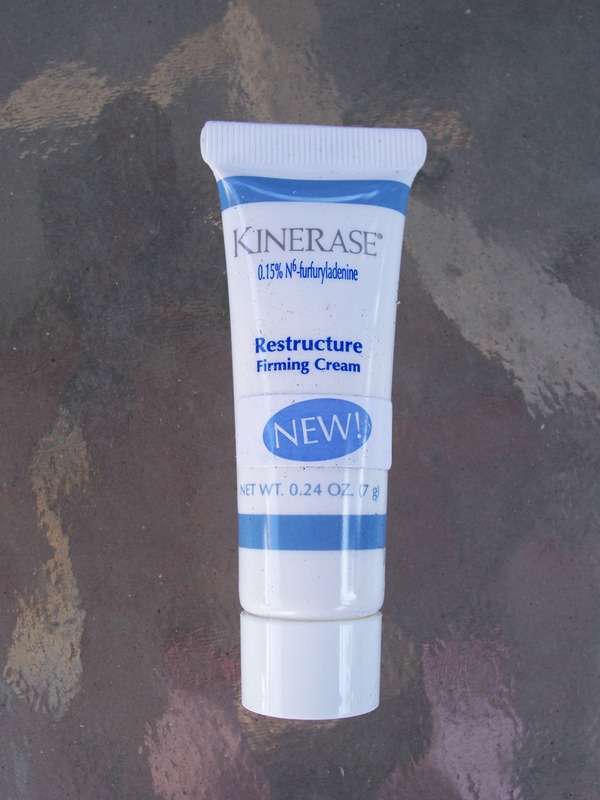 The most expensive item included was the Kinerase Restructure Firming Cream. 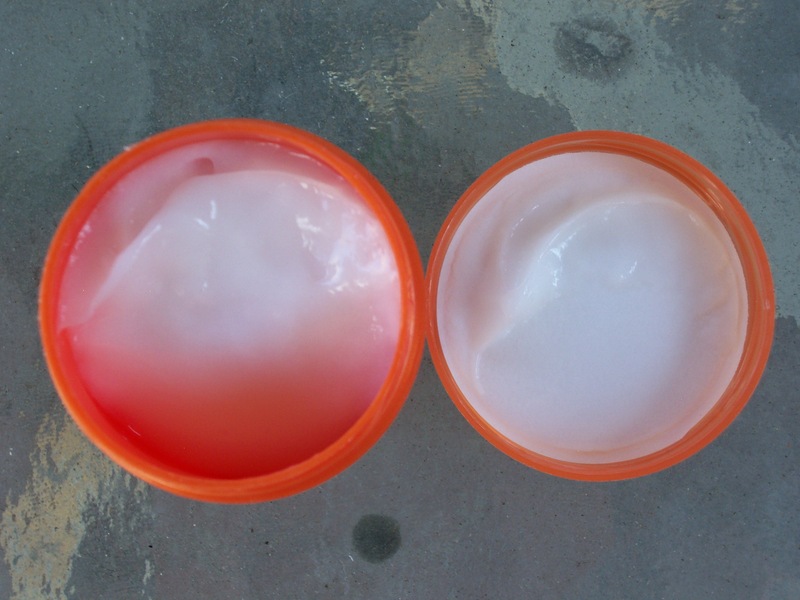 I don’t feel like I really need any sort of anti-aging product just yet. While I did try this, I am not at all sure it did very much for me. And even if it did this is a very cost prohibitive item. The full size one contains just 1.7 ounces for a whopping $98! 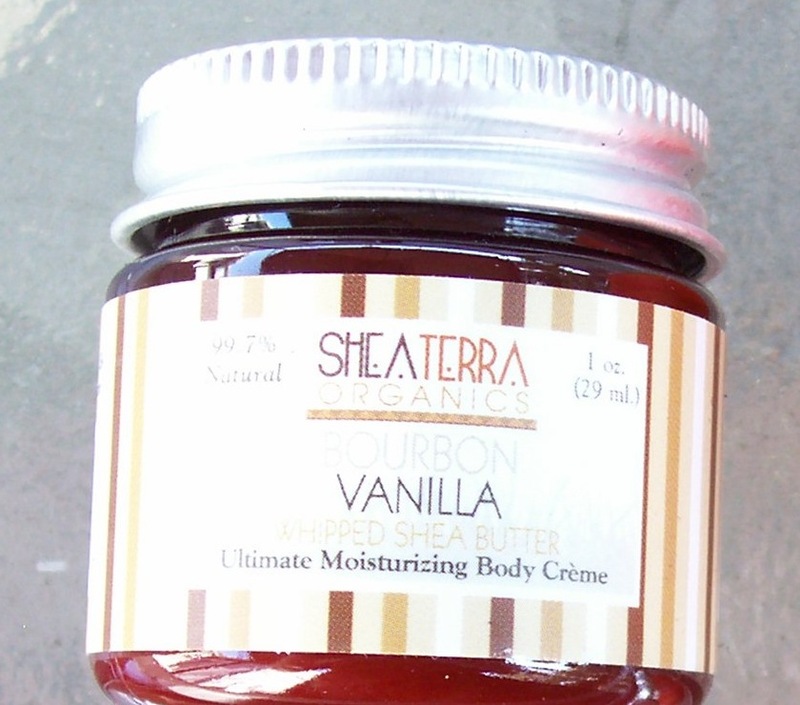 Also included was a very cute little jar containing Shea Terra Organics Ultimate Moisturizing Body Creme in Bourbon Vanilla. 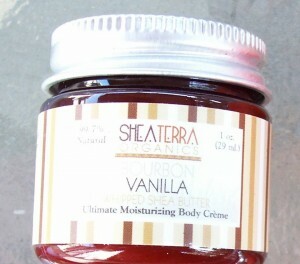 Oh this body creme smells sooo yummy! I also love the when I took the lid off that there was a seal on it which not only make sure to keep the lotion in the container during shipping, but also said it hadn’t been opened previously. The label on the little jar is very cute and matches the jar and lid perfectly. When I tried this delicious smelling lotion it felt so rich and creamy and not at all greasy. 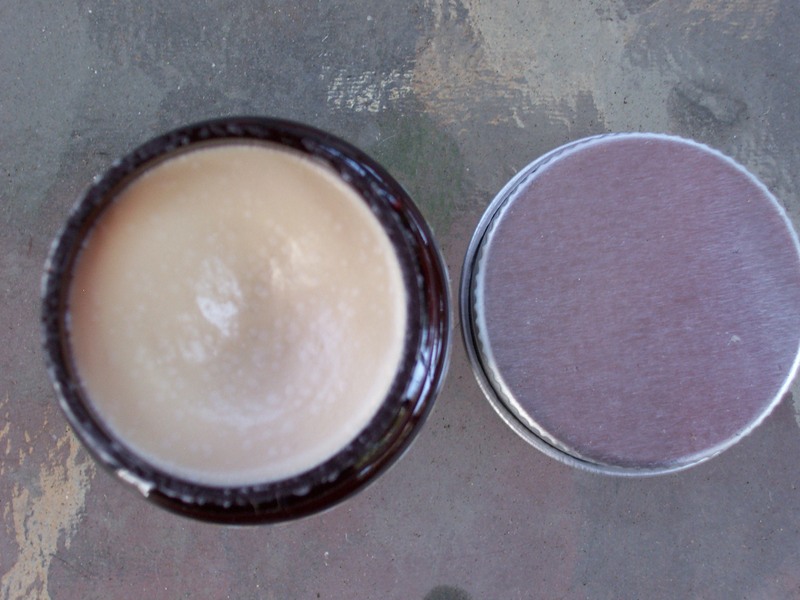 The full size jar is 9 ounces for $18 which makes this sample have a value of $2. 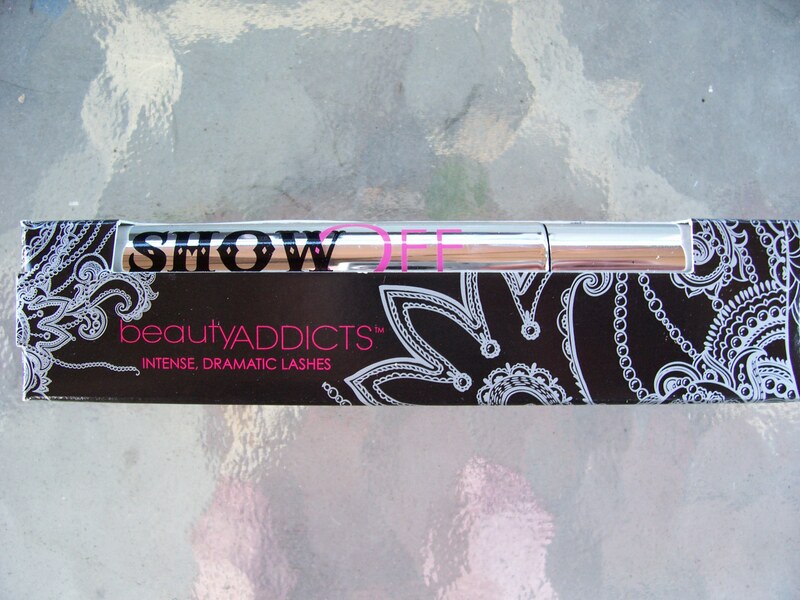 And last but not least is my favorite item in this box, BeautyAddicts Show Off Mascara. I am always on the look out for mascaras that build up ones lashes either by itself or layered over my mascara base. I have very short and sparse lashes on the top and literally a dozen on each of my bottom lashes. And the lashes on my right eye are longer than on the left which really bothers me. i don’t think anyone else would notice that, but it is very obvious to me especially when I am putting on mascara. 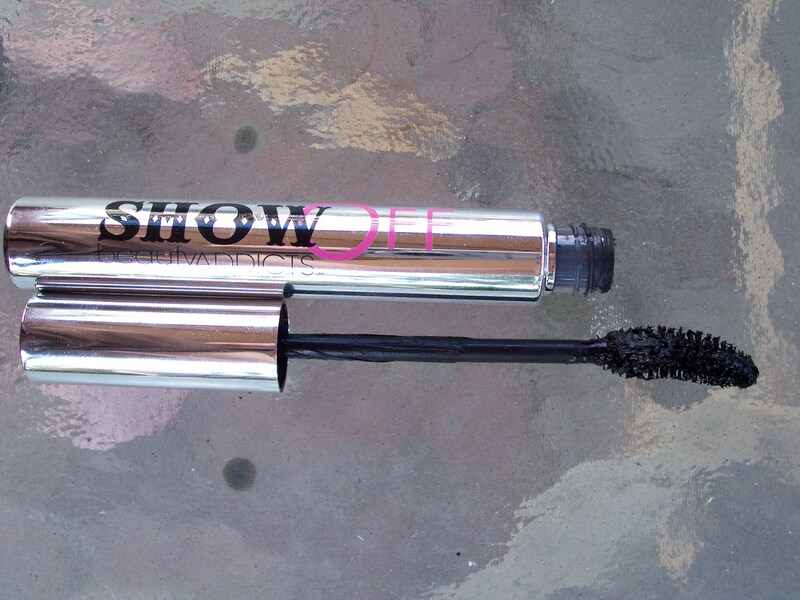 This Show Off Mascara does a pretty good job at being build-able and doesn’t seem to clump much. This is the second full size item and it retails for $20. If you’d like to try Glossybox for yourself you can by clicking on the link below. 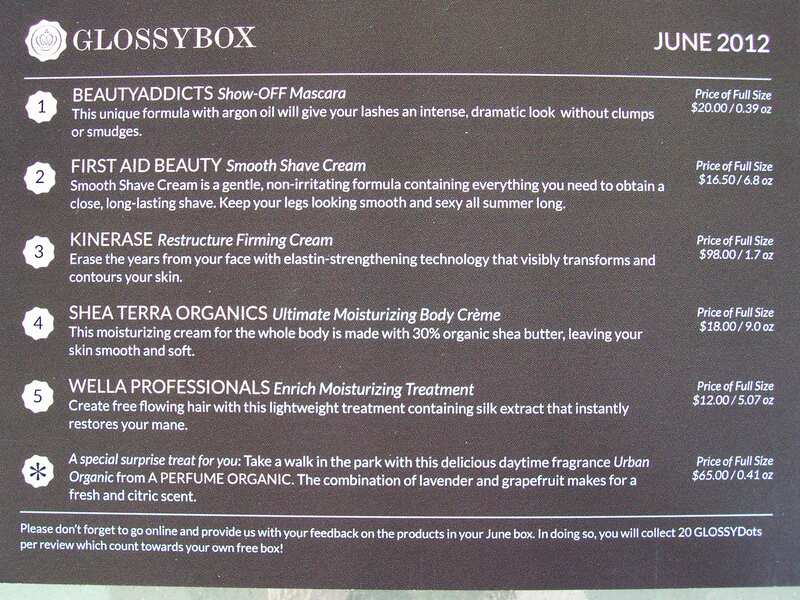 Glossybox costs $21 a month unless you live in CA, then you are also charged tax which makes the total approximately $23. If you purchase a multi-month package you’ll end up getting each month for a bit less. 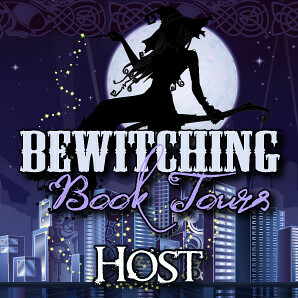 If you do sign up I’d love to hear what you think! 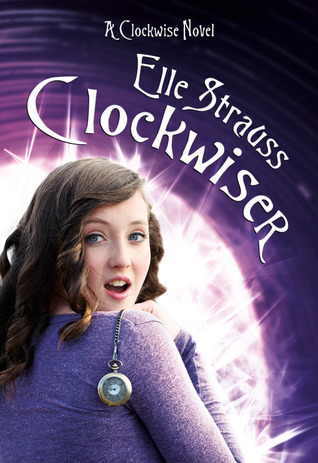 Also I just posted a new following widget on my sidebar for Linky followers. 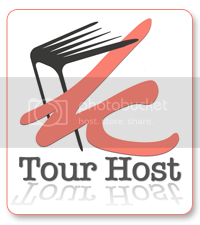 i would very much appreciate it if you could PLEASE follow me via Linky followers. 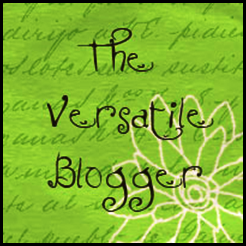 I’ve been trying to find another following widget ever since GFC (google friend connect) was discontinued from ALL non blogger blogs. *Disclaimer The link to Glossybox is an affiliate link. Please see my disclaimer policy for more information.